We've got some good stories told on Episode 4 of MIMS Radio presented by Montreal's Phi Centre! 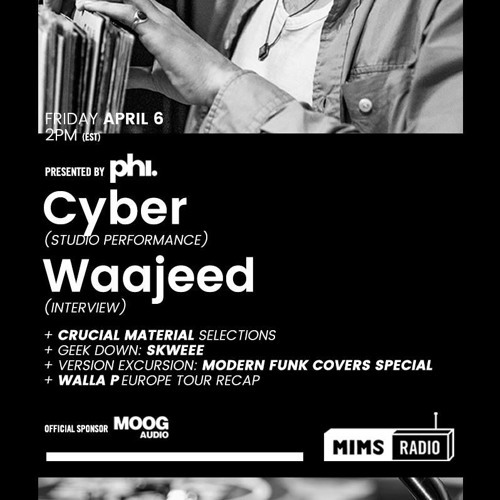 Detroit royalty @Waajeed talks about his Worst Gig Ever in an interview, Walla P brings back some stories and selections from his European tour, and Montreal R&B singer CYBER (@cyberofficial) performs in-studio. Walla P & Lexis are your hosts this week, get into it!